Well, I couldn’t wait. 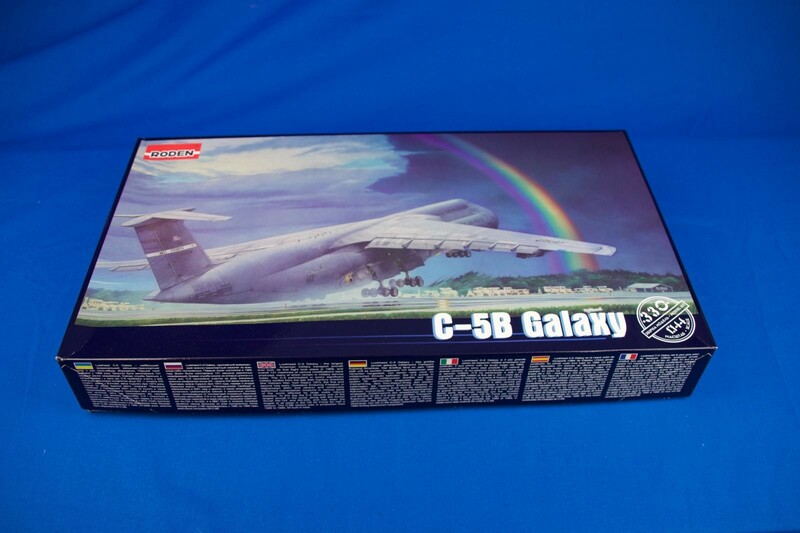 As soon as the Roden C-5 hit the shelves at Lucky Hobby, I had to have one. I had the ancient and mythical Arii/Otaki/Entex/Revell/Testors C-5A in my stash, but this was new tool, and I’ve been waiting for 30+ years for a new C-5…Plus I’m something of an enthusiast of this aircraft, having I spent 17 years as a Flight Engineer on FRED, and I really, REALLY wanted to add one to my collection of MAC/AMC cargo planes. Sooo…first impression: Where the Hell is the interior? Come on, Roden, this is a massive airplane with lots of room inside, how could you omit such a visible and distinctive area on this kit? RoG put an interior in their An-124 AND charged less for the kit. 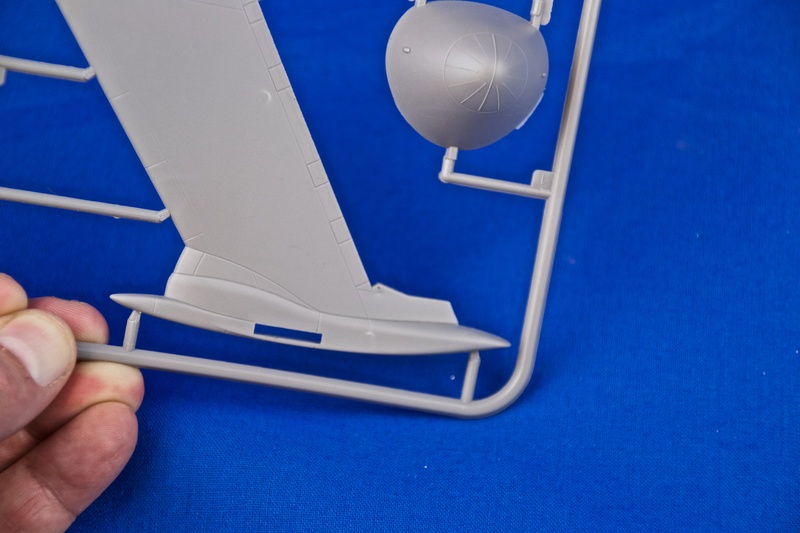 More curious is that they included a forward flight deck, not that anything will be visible once the kit is assembled. So, no cargo compartment, no troop compartment, and no aft flight deck. There’s really no excuse for these oversights. 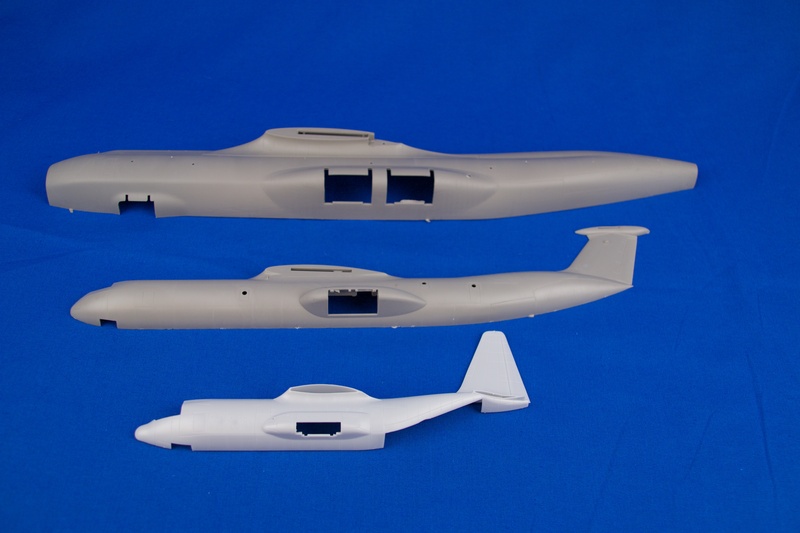 The fuselage is conventional in that it assembles with left and right halves, a radome cap and a small aft fuselage duckbill. Detail looks to be reasonable, and so far I haven’t found any egregious errors…but brother, is it warped. So far I haven’t been able to get the two halves together without some pretty horrible steps or gaps. This is due, in part, to the size of the moldings…and an interior would have helped enormously in providing some much needed rigidity to the parts. 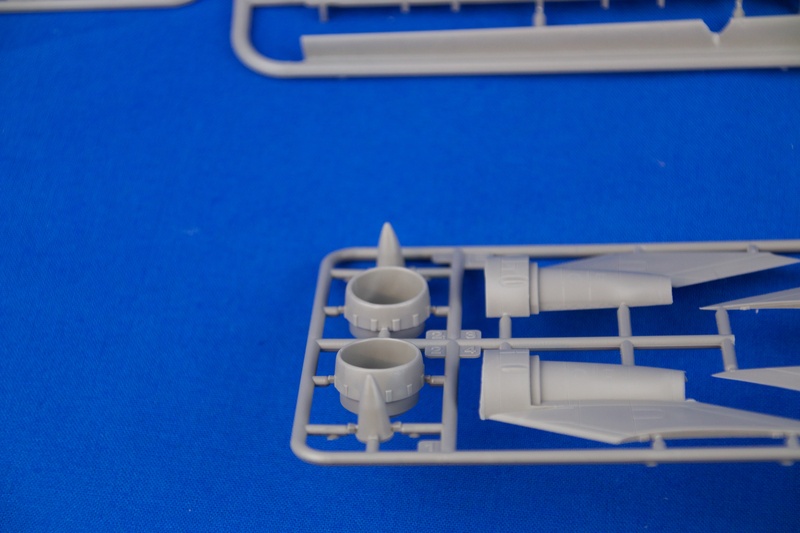 Hopefully the main landing gear compartment will address the warpage in that part of the fuselage. The detail in that part seems to be reasonable in with the scale of the kit, but like the cockpit, will be largely invisible when built. Along with the gear well, the main landing gear is fairly accurate, replicating the complicated 6 wheel bogies in good form, including torque links, anti rotation links and the ramping tracks for the gear well. The nose gear includes a passable trunnion, steering cylinders and torque link. But the wheels…Dear God, the wheels. ALL of them are two part moldings. That’s 28 wheels to assemble and 28 seams to sort out. What were they thinking? The wings are decent, with positive locating tabs to hold these heavy parts in the correct position on the fuselage. 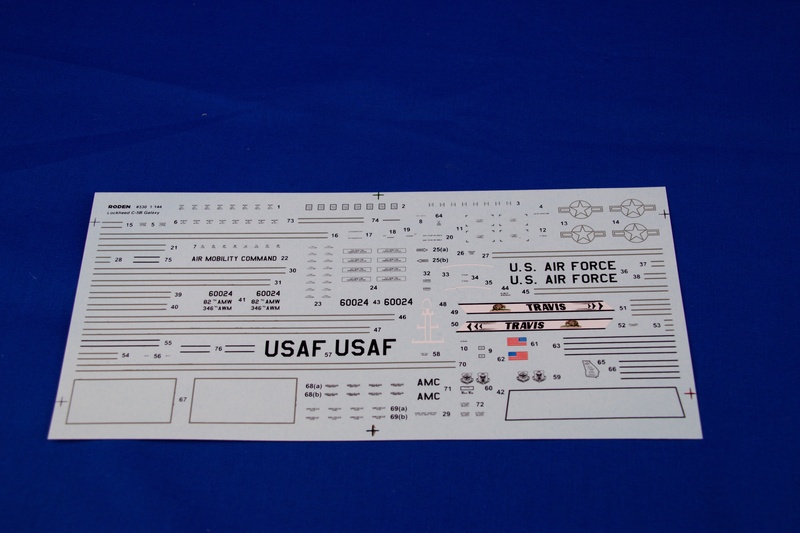 Included are separate flaps and slats that can be displayed deployed. Since it’s not uncommon to see these surface drooped on the ground, I’m happy to see this included as an option. 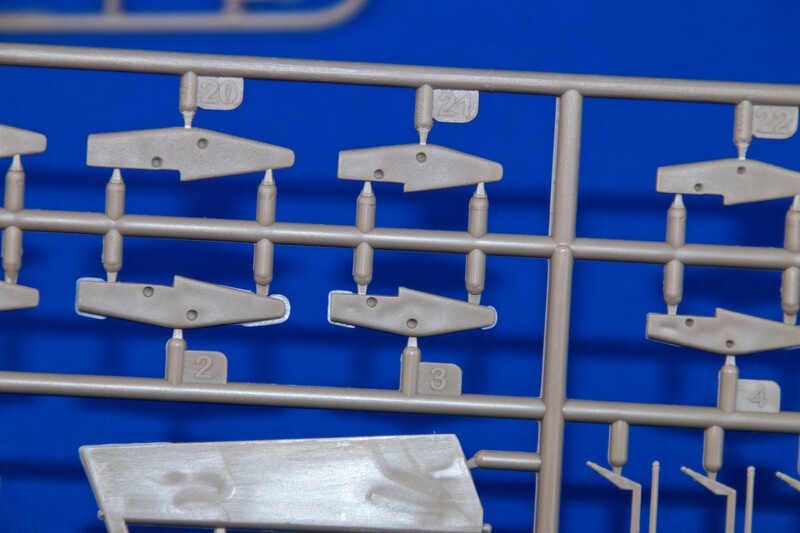 The flap actuator fairings are separate pieces and the leading edge slats have pieces representing the slat actuator jack screws. The vertical and horizontal stabilizers are separate, and include individual flying surfaces…however, the rudder and elevators are one piece, as opposed to split surfaces, as on the real plane. It’s a small thing, but occasionally the surfaces split a little when hydraulic pressure bleeds off. The engines look respectable…they look more-or-less like TF-39s, with the exception of the fan cowl blow-in doors, which are inexplicably represented as raised rectangles in the areas between the doors, instead of scribed rectangles to represent the doors themselves. 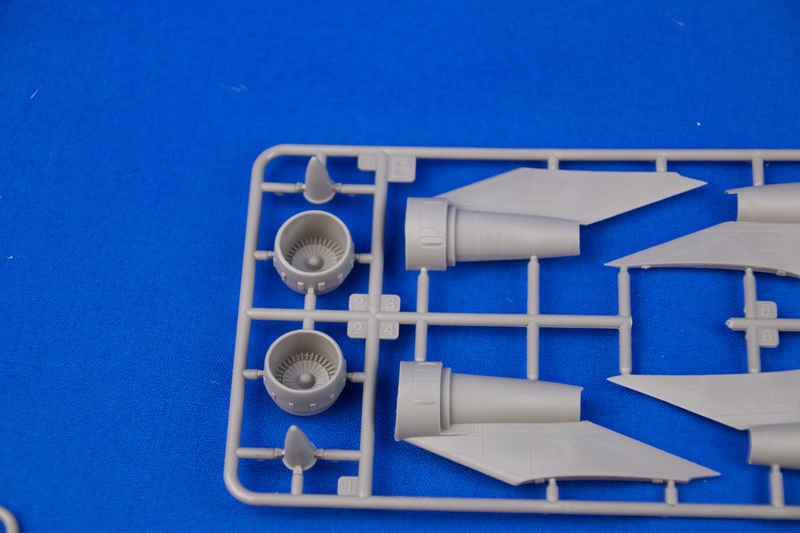 The fan blades are fair, with a little of the compressor blades represented…hopefully these will look decent when painted and washed, and thankfully, they are molded as one piece with the fan cowl, so no nasty seams to deal with. Then there’s the sink marks…they’re plentiful. It’s to be expected with thick moldings, but I still hate them, and never seem to find all of ’em until the first coat of paint goes on. Since it looks like I’ll be filling and sanding a lot, it’s probably a good time to mention that you’ll probably want to buff out the entire kit. There’s a pebbly texture to the whole thing that will likely show through the paint. A little time polishing the tooling would have been appreciated, Roden. The decals look to be decent, representing one airframe from the 82nd/346th AWs based out of Travis AFB in California. If these markings aren’t to your liking, Draw Decal makes a series of C-5 decals that cover pretty much all eras of the type , and from all bases that operated this aircraft…that’ll be my option, building an aircraft (or two…or three) from my flying days at Dover AFB, DE. So, final analysis…is it worth the 80 bucks I dropped on it? Sadly, no. I’m thrilled that Roden took the time to produce it, and I probably would have paid more, but I have a special connection to the airplane, so my my decision to buy one was influenced by that. If they had included even an rudimentary cargo compartment and separate cargo doors and visor (or even cutting guides for the doors and visor), I’d see it as a better deal. But as it stands, it might be worth 30-40 bucks a copy in it’s current state. I sincerely hope the aftermarket takes up the slack with regard to the kit’s shortcomings, it has the potential to be a handsome addition to anyone’s Mobility Airlift collection. I hope for pics soon! Nice review Brad,but what scale is it? I assume 144? 1/144…I’ll edit the headline to reflect that. Thanks for the kind words. No worries. Photos are on the computer, just a quick edit session, and then uploaded to the server. Thanks! I wanted one, but no thanks. Even with an interior that thing is way overpriced. Based on what I’ve seen from you and elsewhere, you are correct…. it should be about a $40 kit. Gotta ask- how big is it? 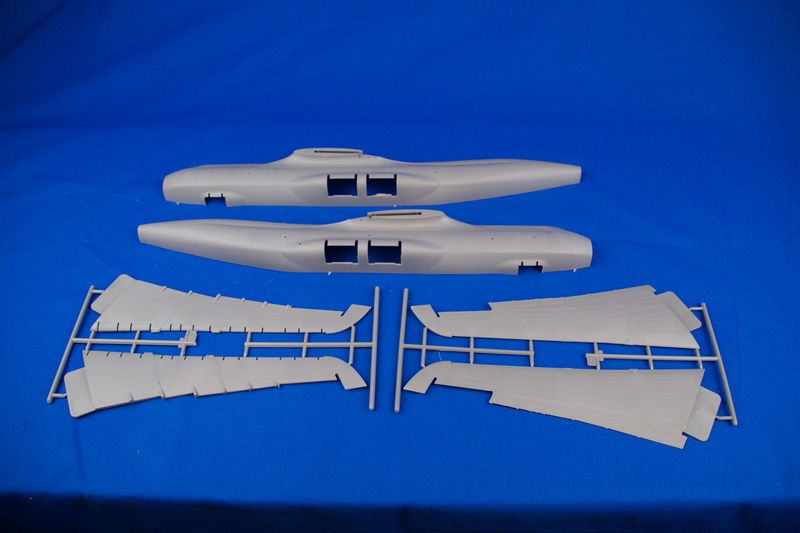 Fuselage is roughly 20″ in length, and if the wingspan is correct, it should be close to that as well. Good luck with this, it looks as you need it. 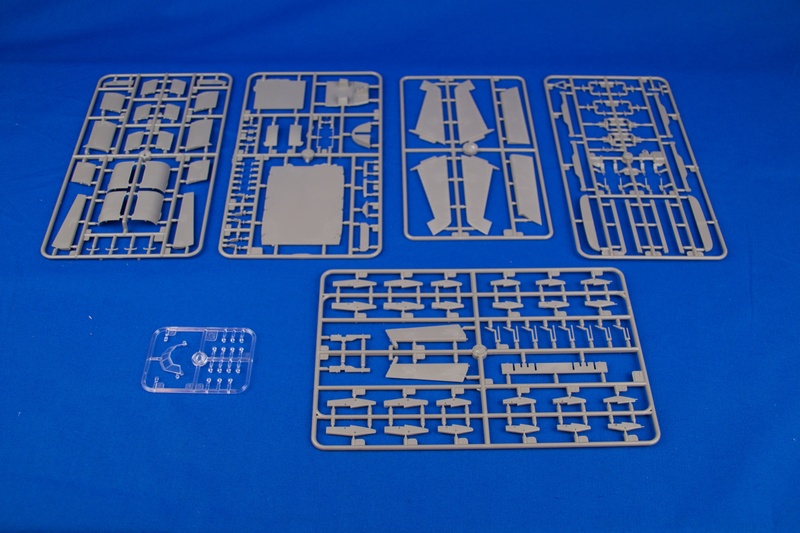 How was the Revell Kit of the C-5? Just found one and was curious if it was better than the Roden. It’s sort of an apples and oranges situation. 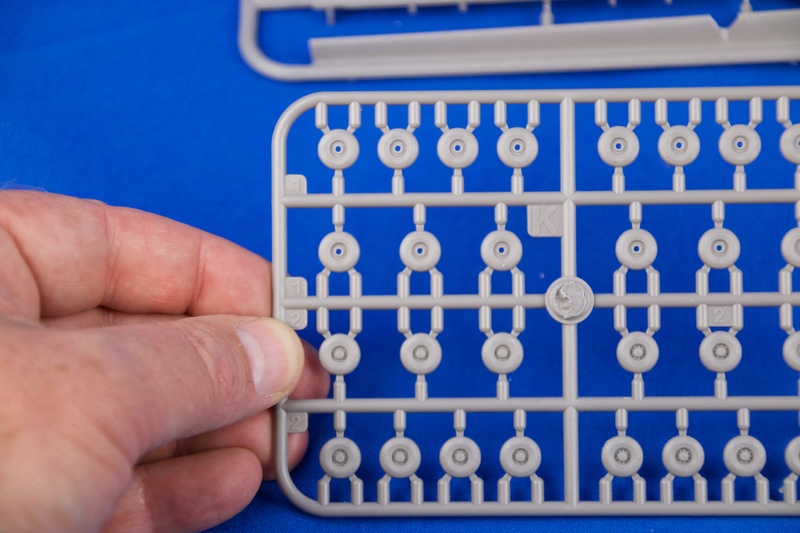 The Revell/Otaki/Testors/Entex kit is from ancient molds, and reflects the technology of the day. The Roden kit is modern, by all standards, and is really a better kit….but being ‘modern’, I expect certain things for my dollars, and Roden didn’t deliver. I expected an interior for that price, and was sorely disappointed when they failed to provide one. 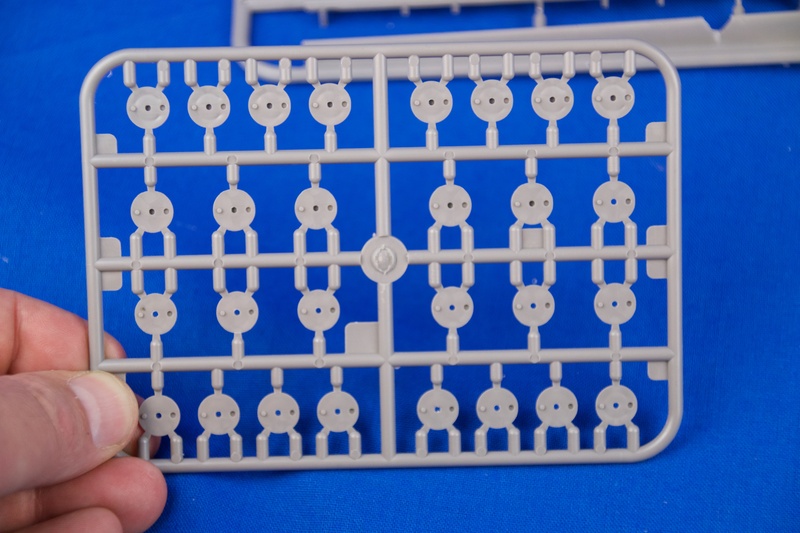 That said, if you can get the older kit, and don’t mind re-scribing the panel lines and dealing with dodgy fit (not that the newer kit looks much better), then you might be happier at spending less if it’s available for less.